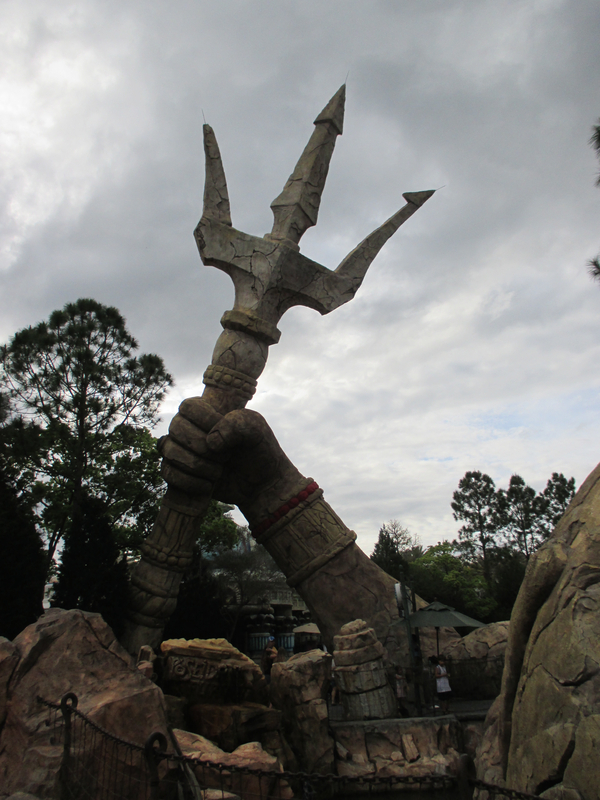 Since it got stormy in early afternoon, we bailed and headed for Cape Canaveral. I’m glad we did because quite a storm blew in and it rained buckets. Luckily, we were safely in our new hotel in Cocoa Beach when the worst of it hit. 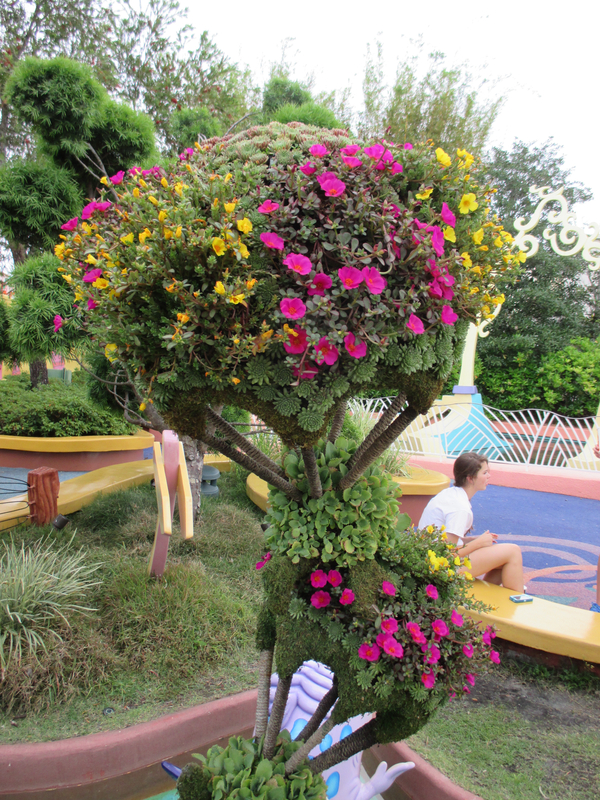 Even walking up to the entrance gates, the landscaping was beautiful. 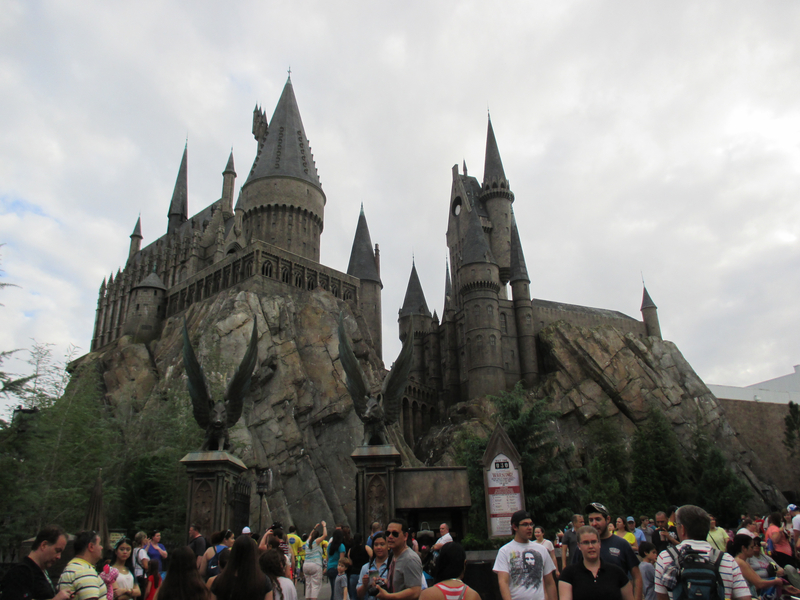 Here are pictures of various things as we walked to the back of the park where Harry Potter World is. 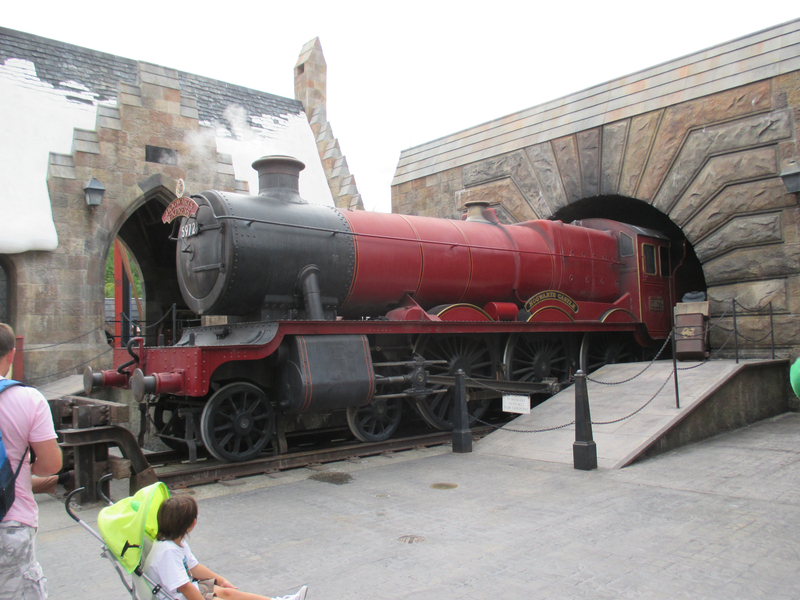 The Hogwarts Express. 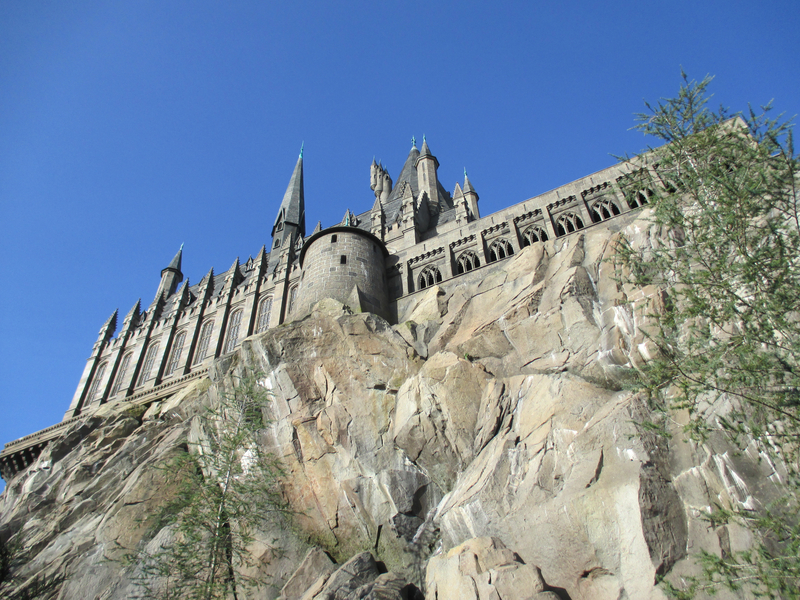 Later this summer, they’re opening Diagon Alley at the other theme park in Universal Studios and the Hogwarts Express will be a ride you can take between that park and this one. We got soaked on the Jurassic Park ride. Soaked! 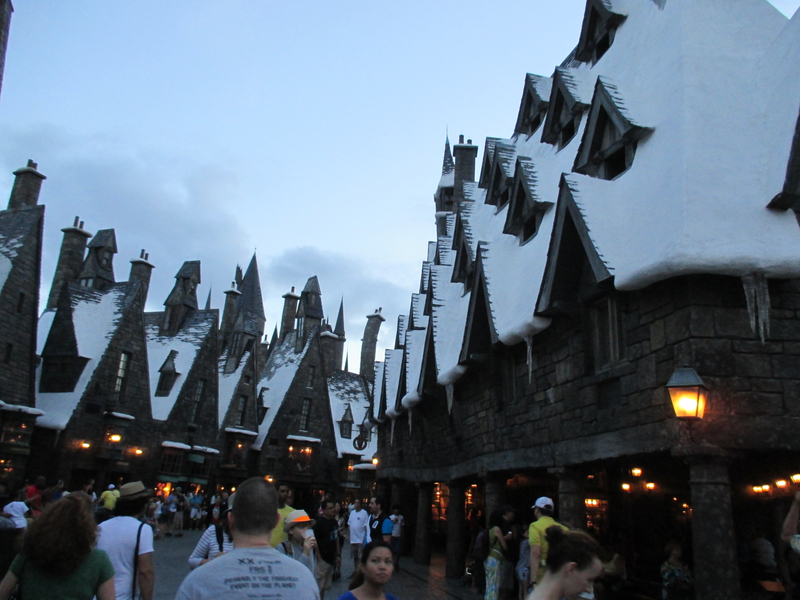 Hogsmeade looked beautiful this morning. 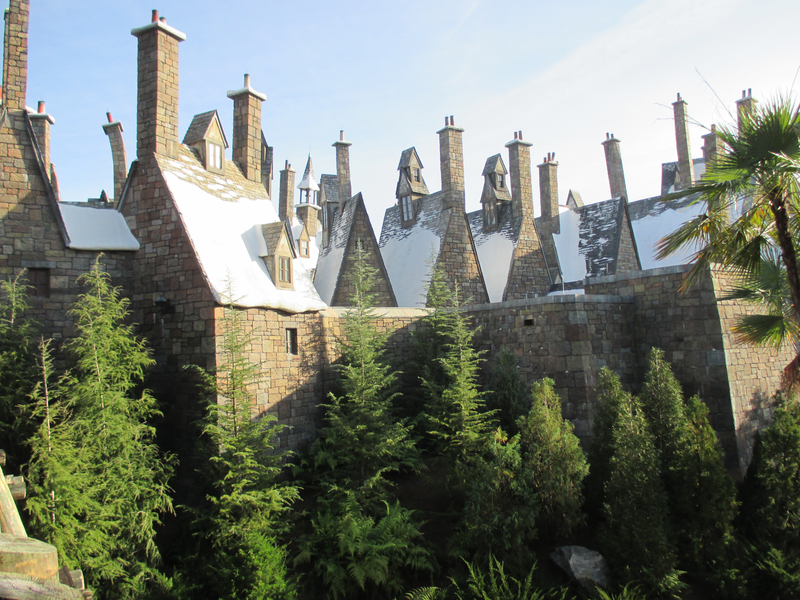 And a couple more views of Hogwarts. It wasn’t to scale, but it was still very impressive. 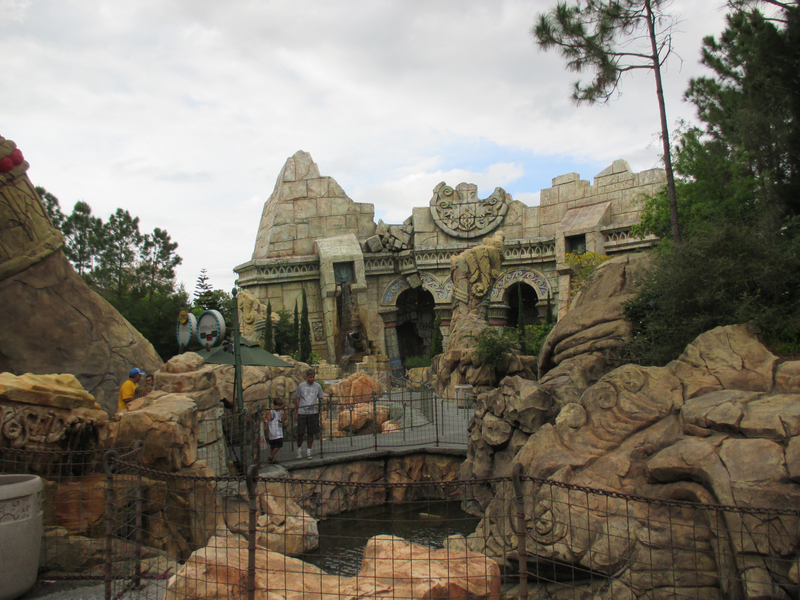 It’s the home of one of the rides, which was very well done. 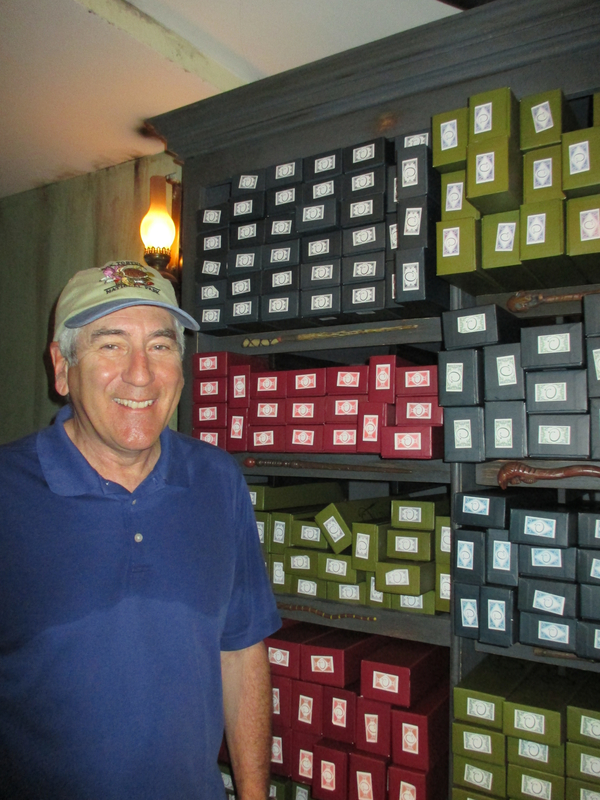 As you waited in line, it wound through classrooms, past the sorting hat, down corridors with talking portraits, and many other things. In some of the rooms were holograms of Harry, Ron and Hermione doing various things. 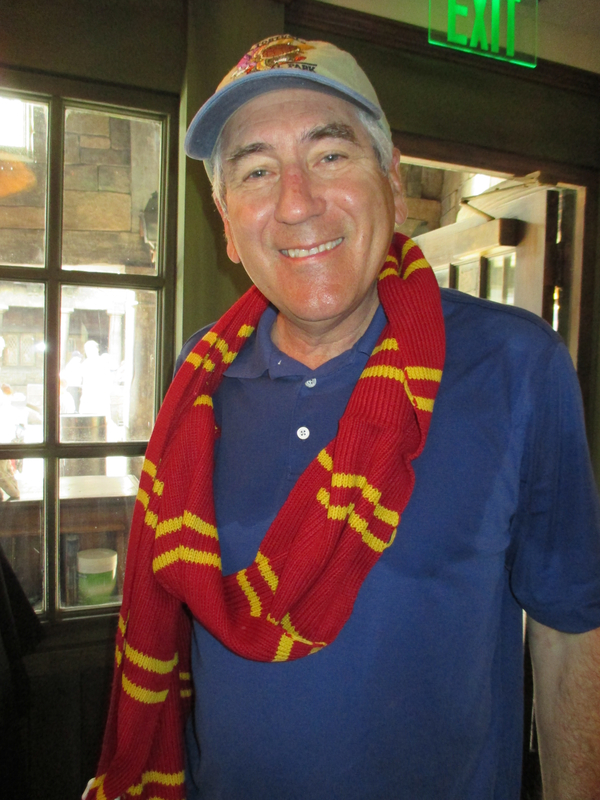 The sorting hat! Yes, it talked. In fact, it wouldn’t stop! 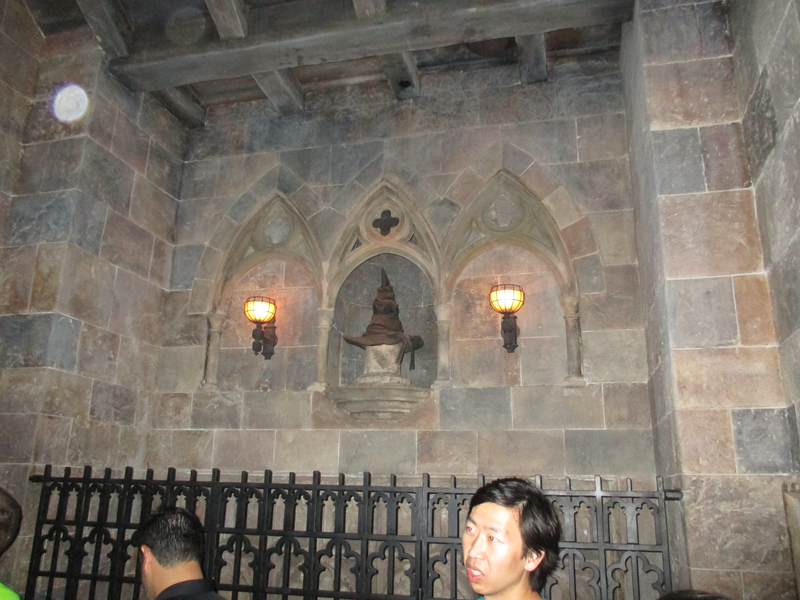 Sorry I couldn’t get more pics from inside of Hogwarts, but lighting was bad. I took several videos, but they’re nearly black. 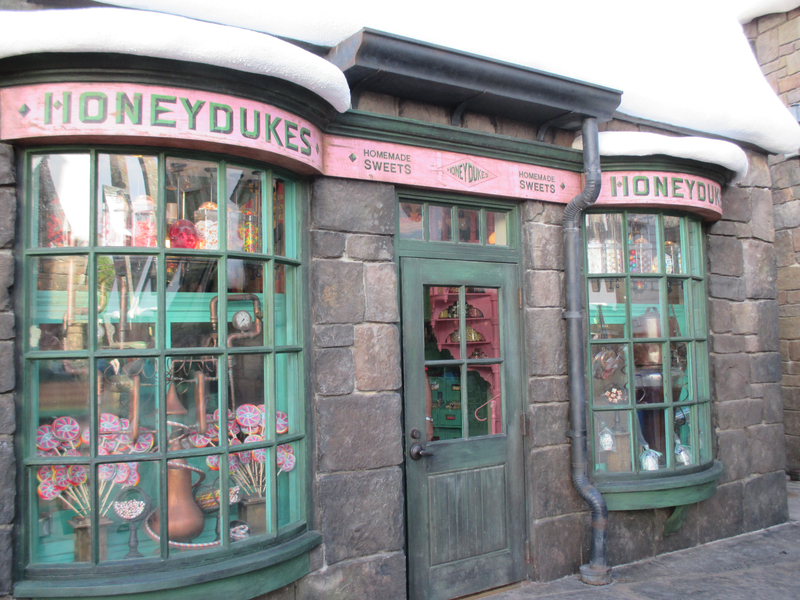 This is one of the few stores in Hogsmeade that is actually a real store. 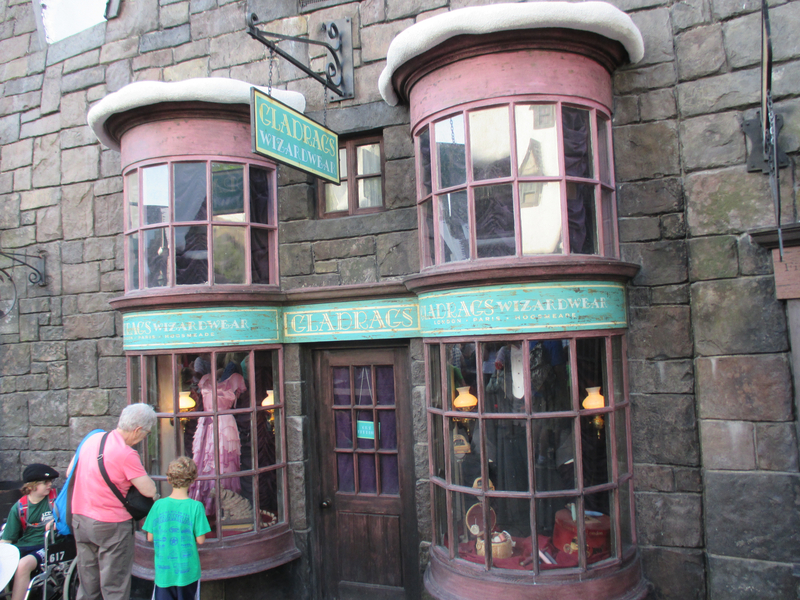 Most are just dressing–you can see in the windows, but the doors aren’t real. The dress shop wasn’t real–only window dressing. Zonko’s! Unfortunately, not a real shop, either. 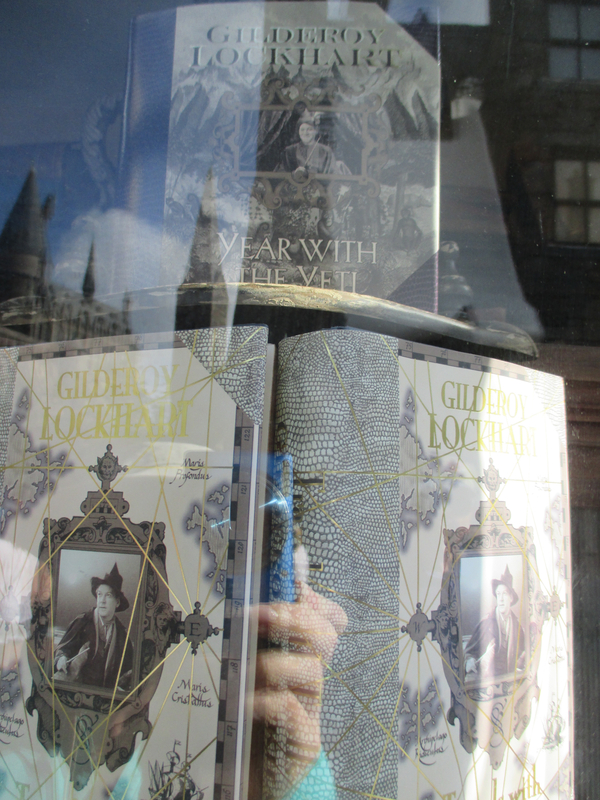 The bookstore had all of Gilderoy Lockhart’s books in the window, but it wasn’t a real store. 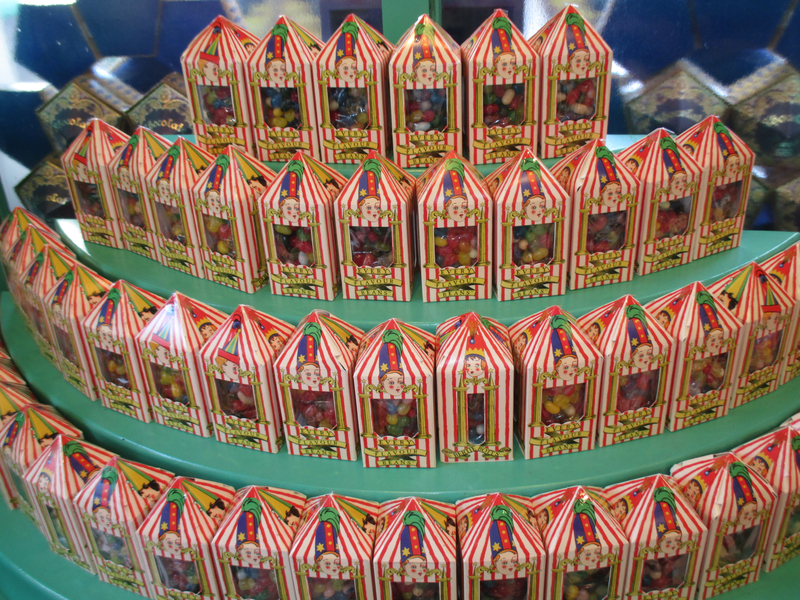 Bertie Botts Every Flavored Beans. 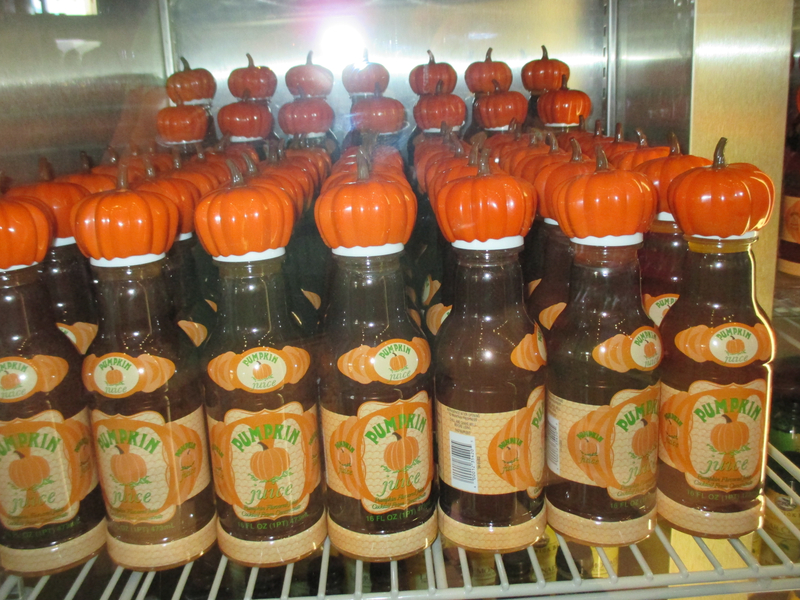 We found bottled pumpkin juice for sale. 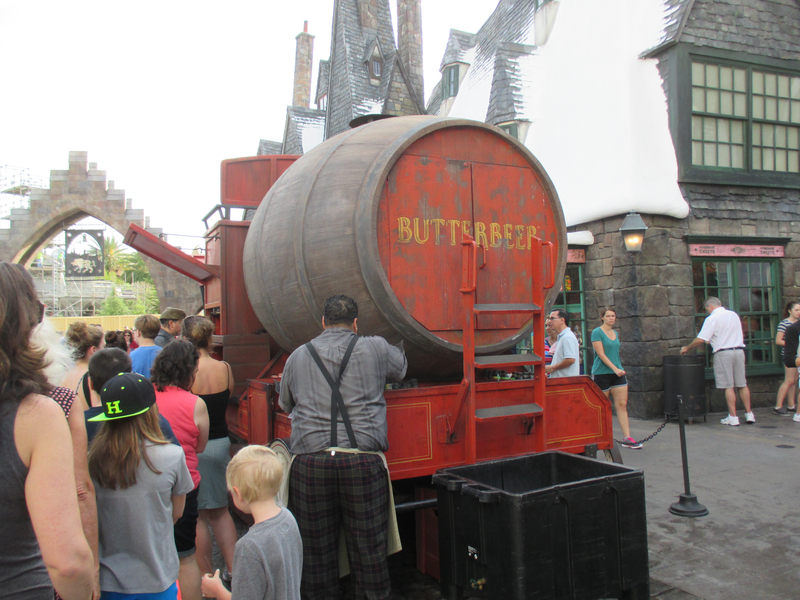 Unless you’d rather have a butter beer? We tried it. It tasted a bit like a melted root beer float. 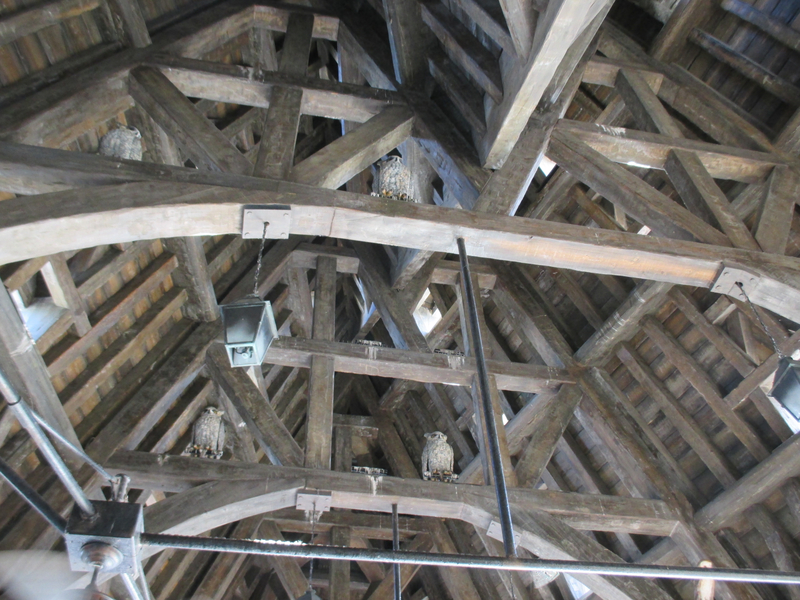 The owls in the post office. 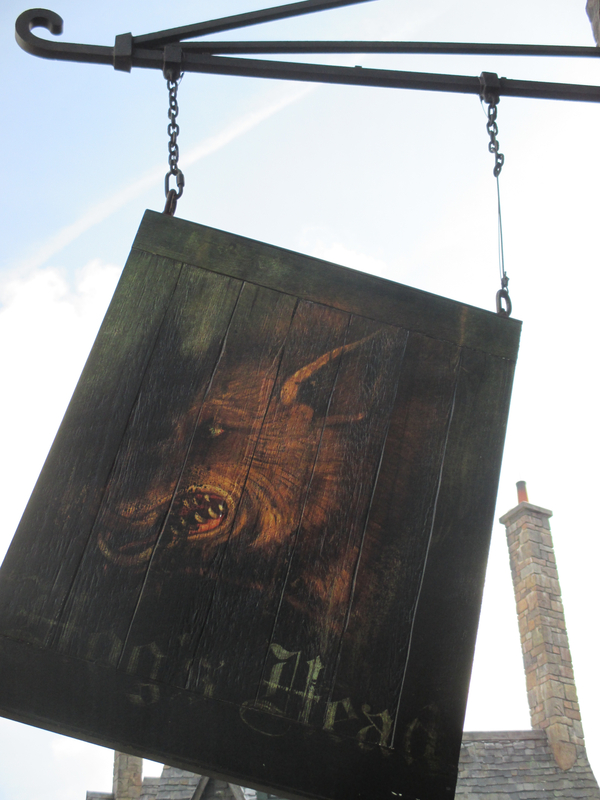 The Hogs Head. Disreputable place. 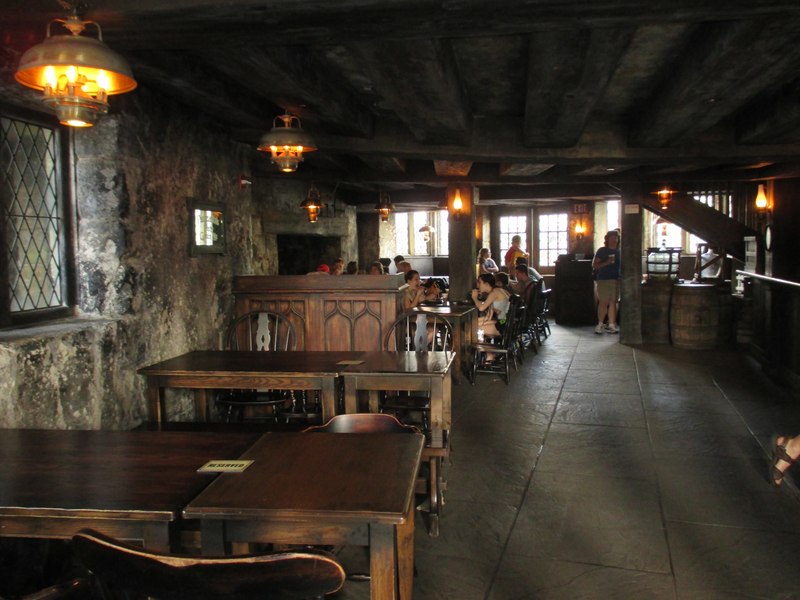 Lunch in the Three Broomsticks. 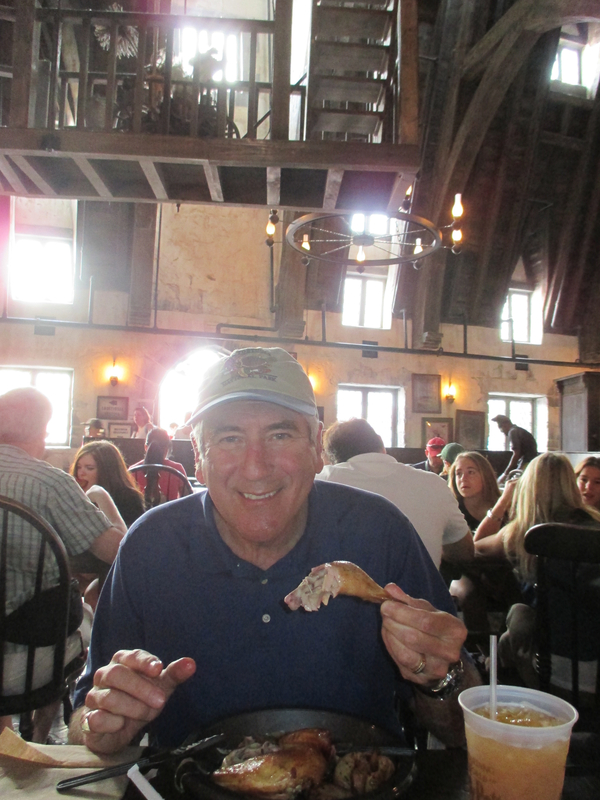 Lunch at the Three Broomsticks. Pumpkin juice! We liked the non-fizzy kind better. 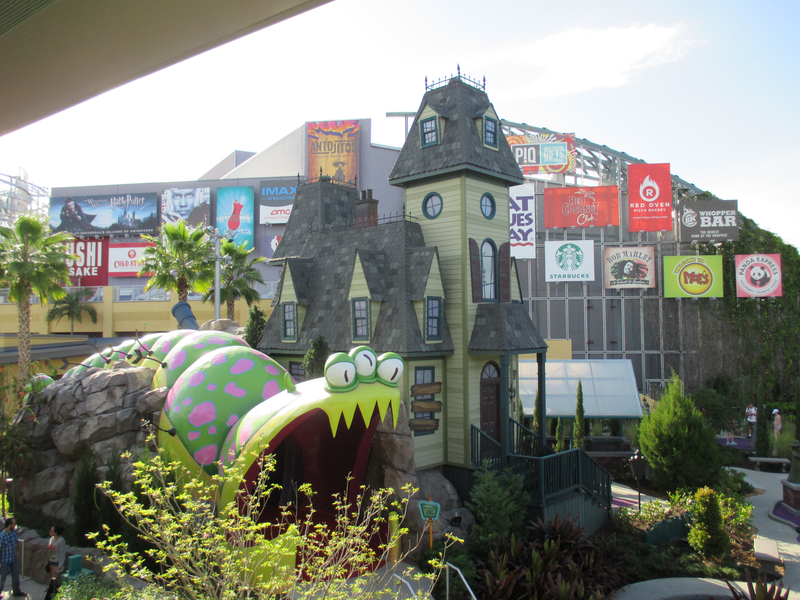 More of Universal Studios today. We got there as it opened and went the opposite direction of most of the crowd, so we were the first people on the Spider Man ride and the Jurrasic Park ride. 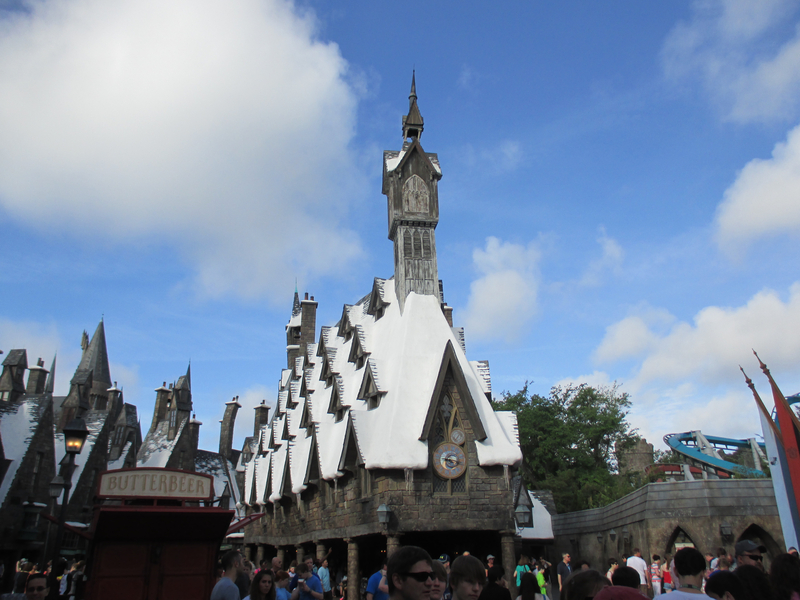 We planned to have lunch at the Three Broomsticks, but by the time we got there, it was only 9:20! 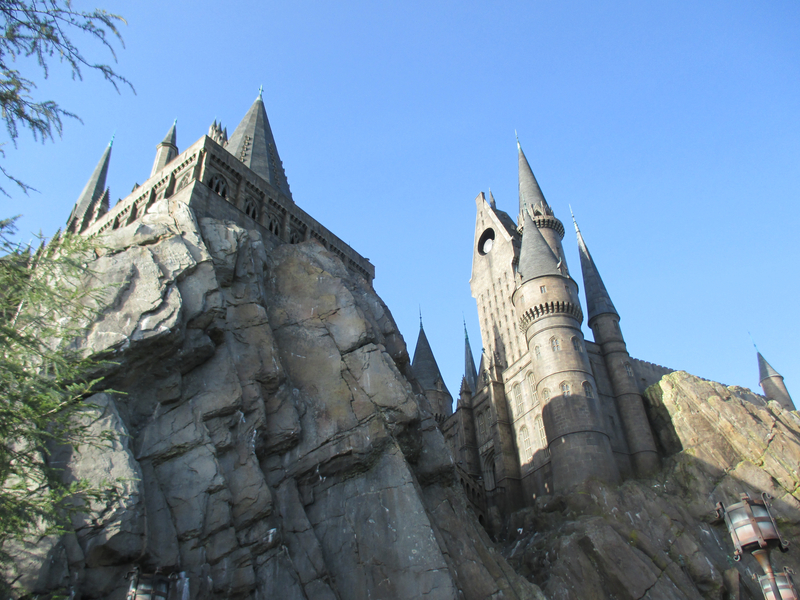 So, we rode the Harry Potter ride again. It was a 75 minute wait, so we thought it would kill some time. 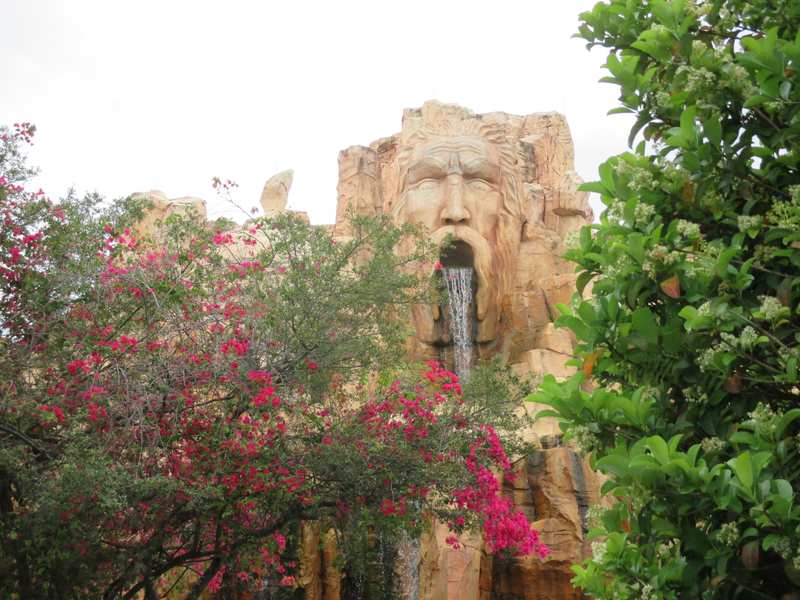 Then, the lady told us the single rider line was only 5 minutes, and we couldn’t pass it up. We were in and out in 15 minutes. It was still too early for lunch, so we did some shopping, looked around thoroughly, and took lots of pictures. You can see them here. As I said before, its not a very big place. 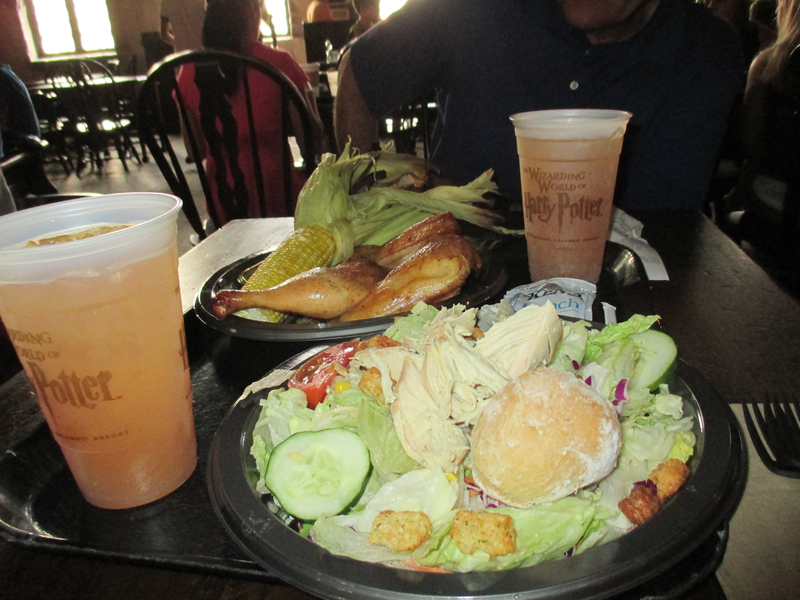 Finally, around 10:00 they started serving lunch at the Three Broomsticks and we went in. 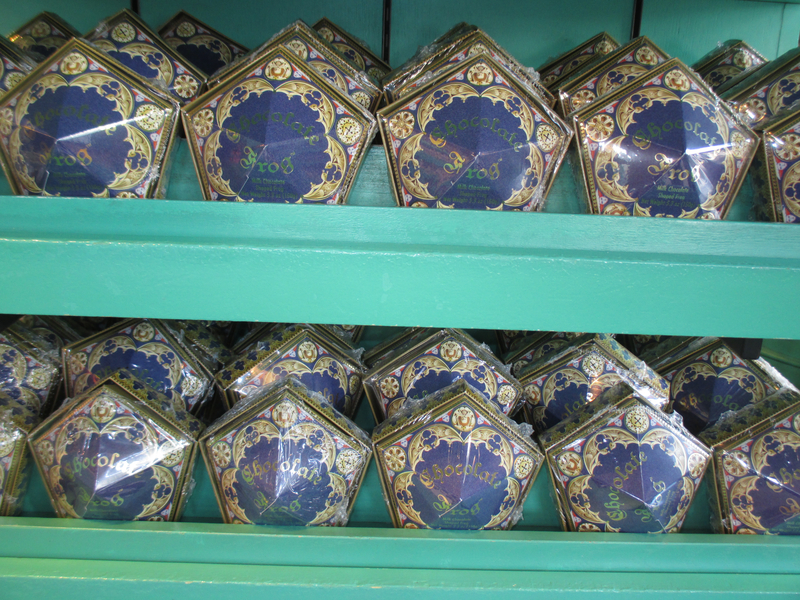 It’s wonderfully decorated on the inside, and quite believable. We tried pumpkin juice with our lunches, Bob got regular and I got the fizzy version. (We both liked the regular version better). They will tell you it tastes like a slice of pumpkin pie, but I think it tastes more like what a pumpkin pie candle smells like, if you know what I mean. It kinda grows on you. After lunch, we backtracked to the movie theater on City Walk and saw the new Captain America. We really enjoyed it and it was the perfect break from all the walking. We did some more stuff in the park after that, but its not worth mentioning. Can I just say that Disney does most things better? Especially in the food and entertainment areas. 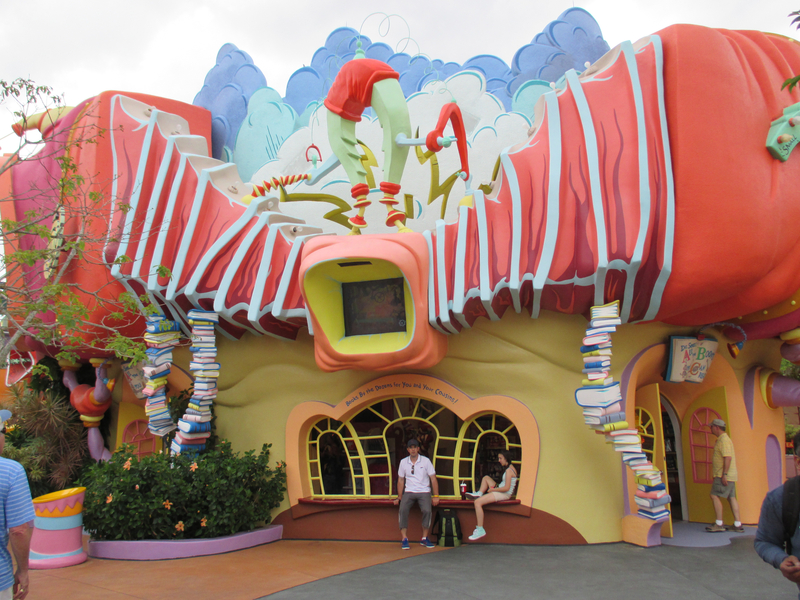 The shows at Universal were pretty crummy. 3800 miles traveled so far. 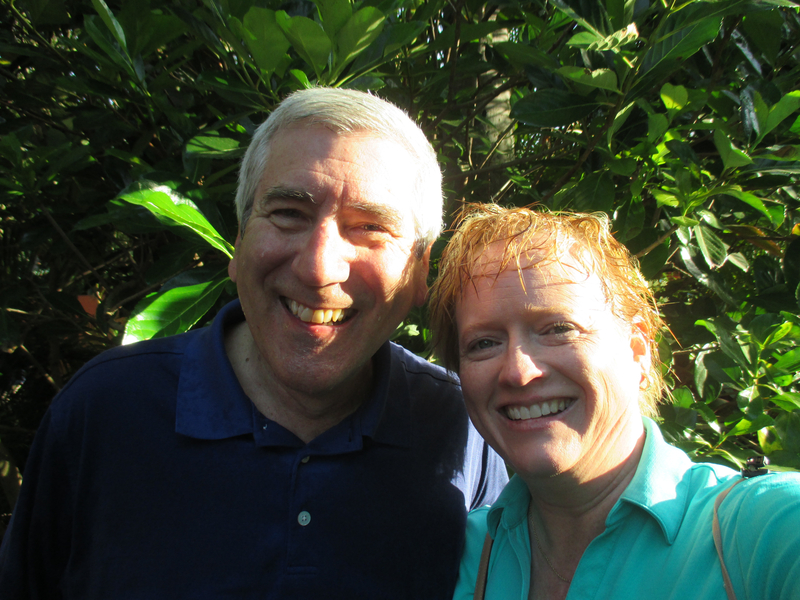 We spent several hours exploring the winter homes of Thomas Edison and Henry Ford. Did you know they were good friends and next door neighbors? They often collaborated with their other friend Harvey Firestone (yes, the tires) on projects. In fact, Edison spent so much time in Florida that he had an entire laboratory there and it was the primary location for all his efforts to develop a domestic source of rubber so the US wouldn’t be dependent on foreign imports. But, I’m getting ahead of myself. In 1885, Edison sailed down the river and saw a plant on the banks that he thought would be the answer to his search for a long lasting light bulb filament. He bought the property that day and had a house built there within the year. It was quite a feat since it was wilderness at the time and everything had to arrive by boat. There wasn’t even a road. And it wasn’t just a simple house. It was two stories with a couple sections and servants quarters and it was surrounded by a wide covered deck. Then, he had a mirror image of the whole house built right beside the original as a guest house. It’s very impressive, even by today’s standards. It turned out Edison was right and the bamboo he saw growing on the banks of the river which did prove to be the perfect filament for his light bulb. Years later, WWI inspired Edison to find a domestic source of rubber. If our imports were cut off in another war, the US and its industries would be seriously hampered without a reliable source of rubber. Of course, this project was very interesting to Ford and Firestone, for obvious reasons. 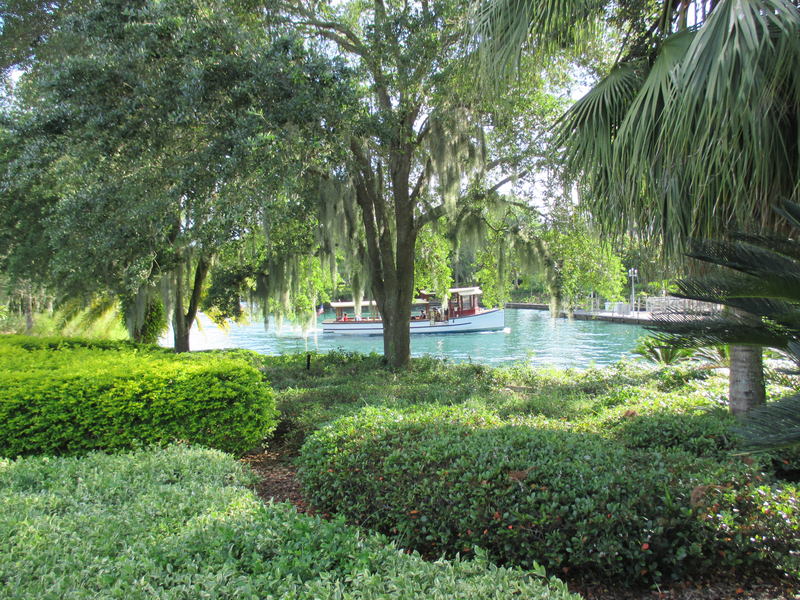 Toward that end, Edison imported plants from all over the world and planted them on the grounds of his home in Florida. Many of these still exist and they make the grounds an incredibly beautiful garden. 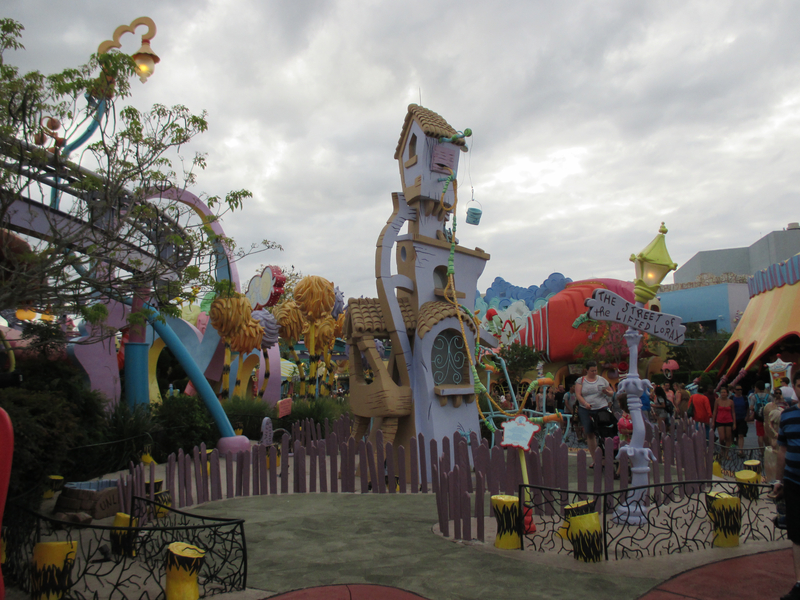 We really enjoyed walking around because it was so peaceful and colorful. My favorite was the Banyon Tree that Edison planted in 1927. It was about 4 feet tall. Today, the tree is enormous and because of the way it grows, it covers a little more than an acre of ground. 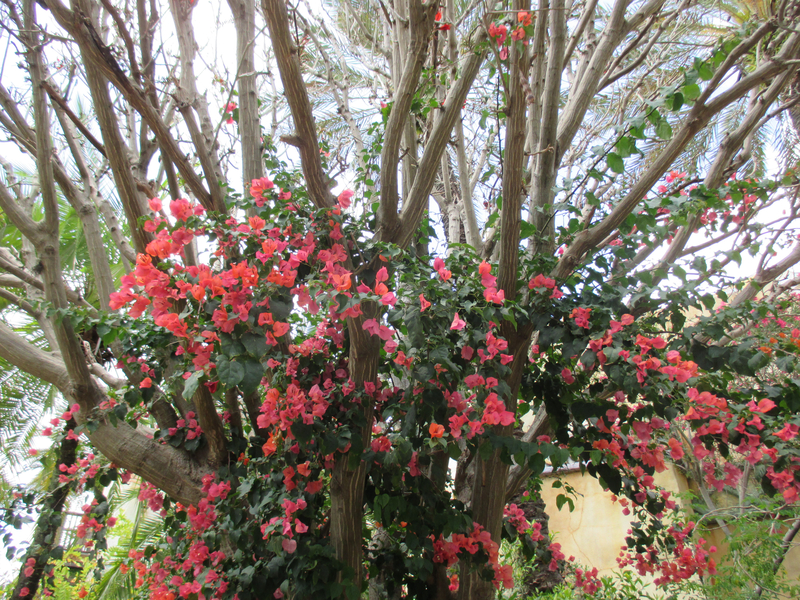 Another favorite is the bougainvillea his wife planted in the 19teens. It’s now about 30 feet tall. Pictures of everything are here. Perhaps the most interesting thing is Edison’s forward thinking. He wanted to develop a battery operated car (way ahead of his time!) and he was concerned about humanity using up its oil resources. He thought our future was in the power of the sun. 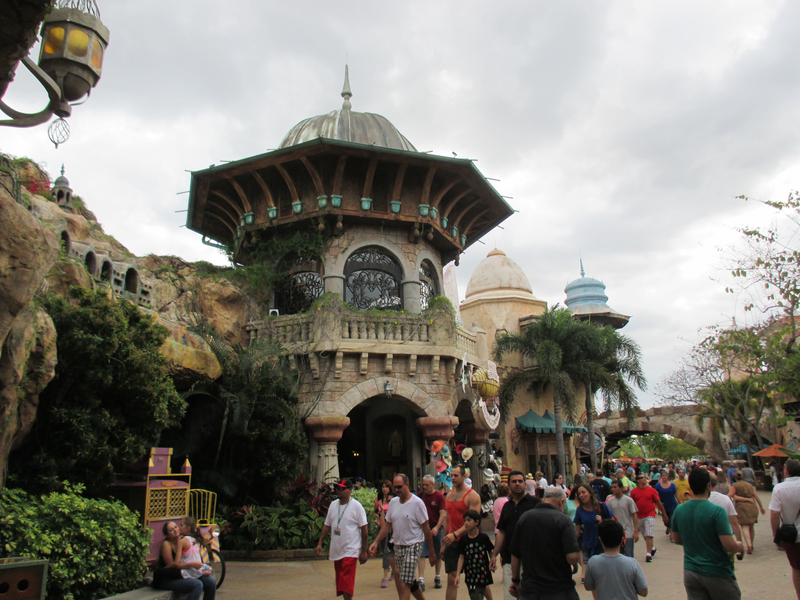 After lunch, we drove to Orlando. 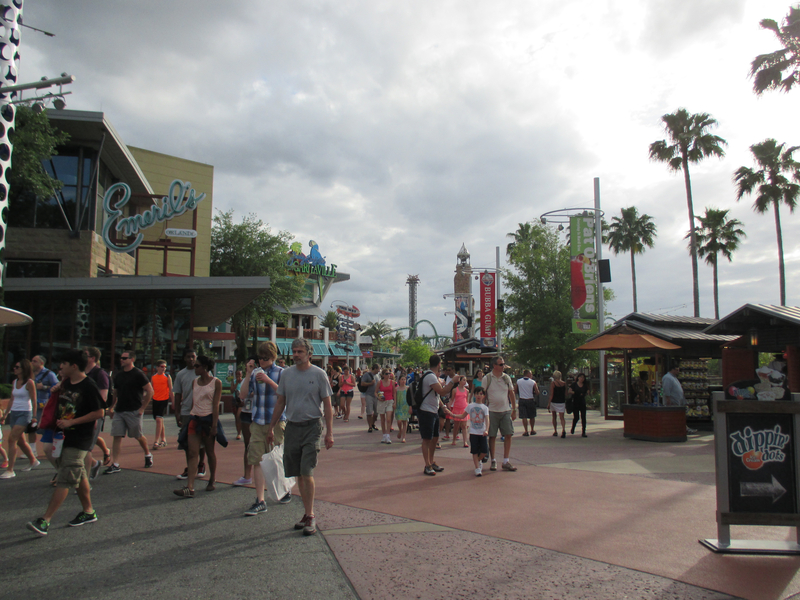 We wanted to do something interesting for dinner, so we walked over to City Walk, which is sort of the Universal Studios equivalent of Downtown Disney. We ended up with ice-cream instead of dinner, but what are vacations for? 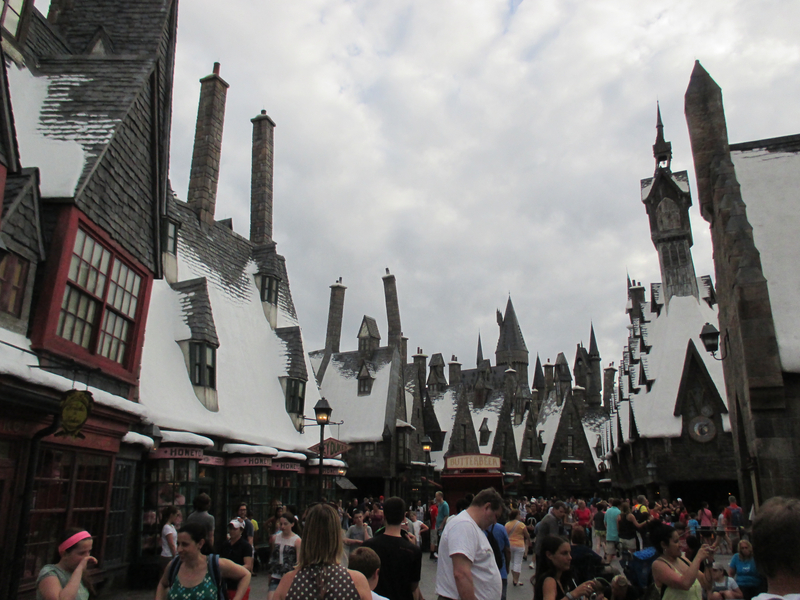 We also ended up at the Wizarding World of Harry Potter. What a kick! It’s an incredible place, I just wish it was bigger and there was more to explore. 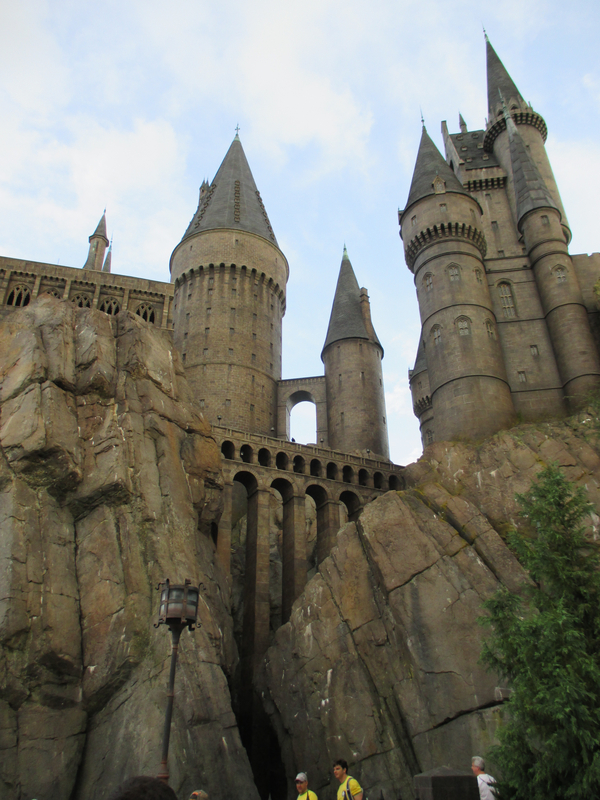 We decided to try the main ride, which is a trip through Hogwarts. 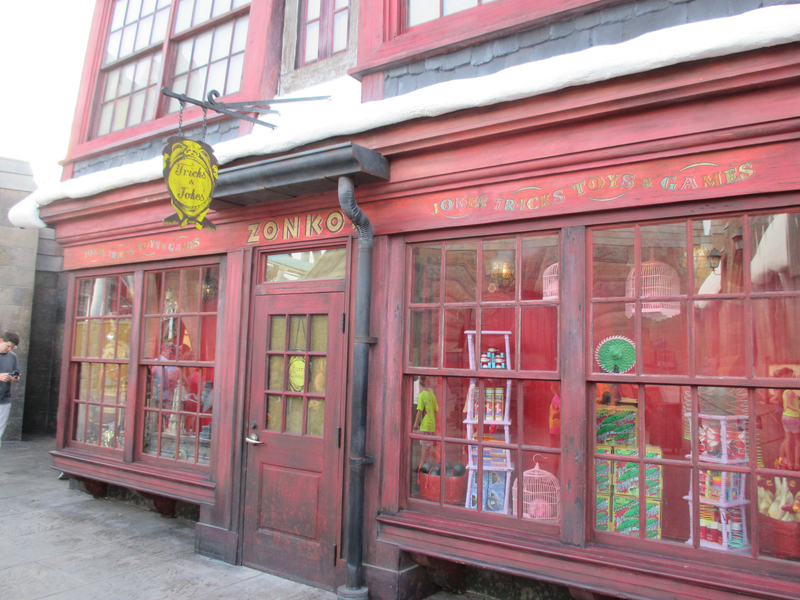 We saw classrooms, the Great Hall, Dumbledore’s Study, the Room of Requirements, the sorting hat, the house points tally machines (I forget what they’re called), the greenhouses, and even the talking paintings, including the Fat Lady. There was even an interesting discussion between the portraits of the four founders about letting in muggle-born students. It’s all very well done. 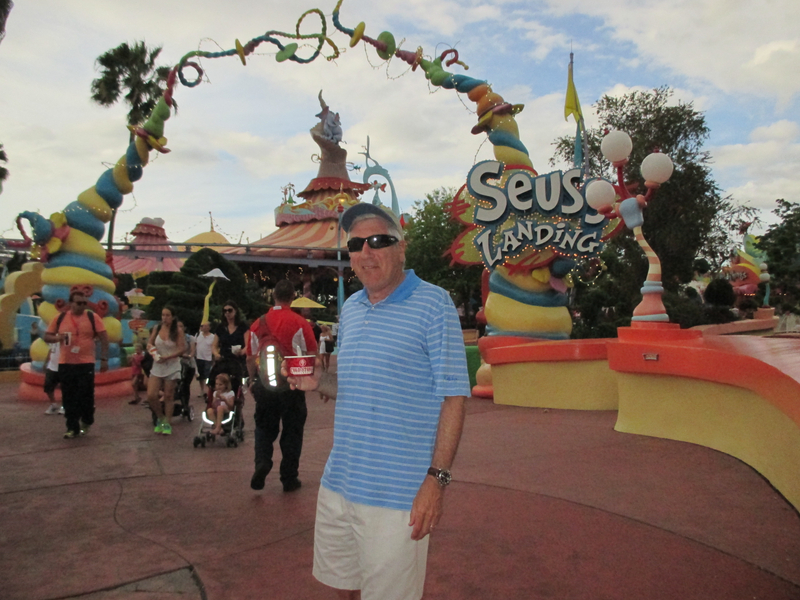 The ride itself was fabulous and lots of fun. 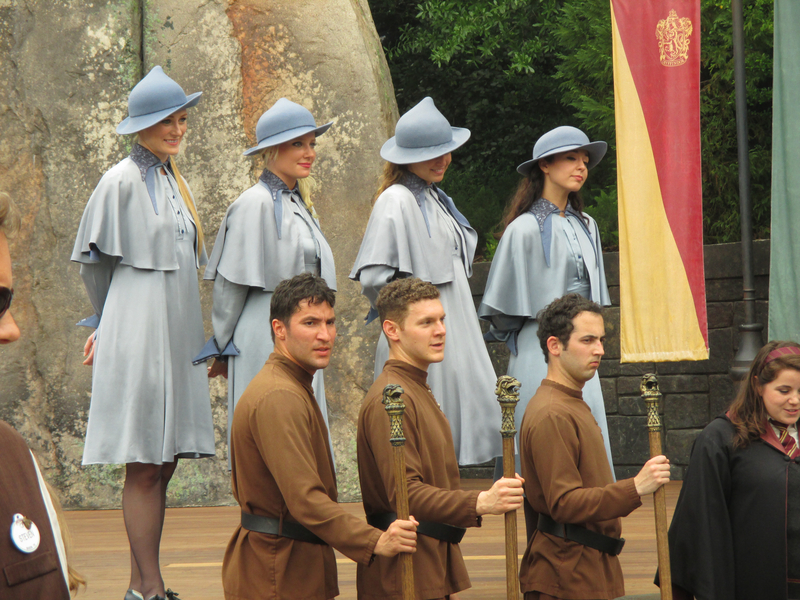 Hermione casts a spell so you can fly and then you fly everywhere. It was very well done. More on all this tomorow!